Yesterday’s hymn, Hymn of the Day: Pass Me Not, O Gentle Savior, focuses on calling out to Christ for help in times of trouble (along with other things such as salvation). 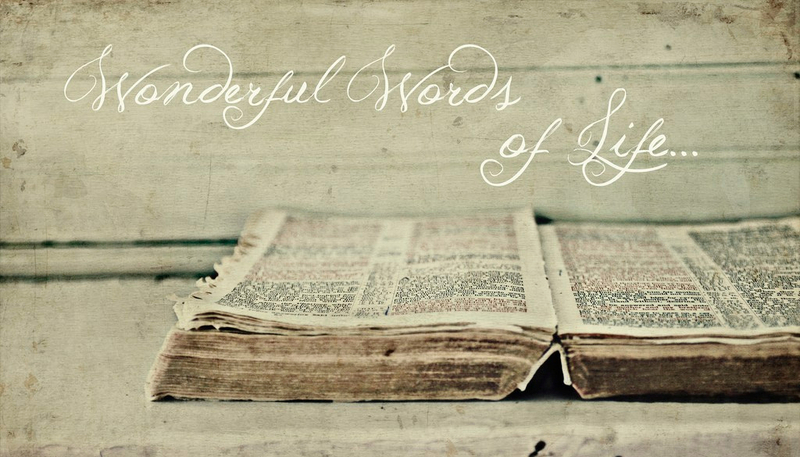 Today’s hymn focuses on a love for the Word. Not only the written Word of God, but Christ, who is the Living Word. On one occasion, Christian publisher Fleming H. Revell (Dwight Moody’s brother-in-law) was about to launch a new Sunday School paper. He wanted a song that would capture the overall focus of the publication, which was to emphasize the vital importance of studying the Word of God. Bliss would then go on to write his hymn, Wonderful Words of Life. What a blessing it is to know the Living Word!